It was another busy day for the Customer Services Team at Harrod Horticultural HQ yesterday assembling one of our best selling Standard Wooden Raised Beds. We feel it is important for our Customer Services team to really understand our products, from how they are used into the garden, right down to how to assemble them. This helps us provide the best advice we can when speaking to our customers. So with the team assembled and all the parts laid out ready along with level, measure and electric drill (acting as a screwdriver) it was all systems go. Following the instructions it was straighforward to get the planks fixed to the corner posts using the screwdriver and supplied screws. The pilot holes make the job nice and easy as well, but would thoroughly recommend using an electric screwdriver or it would be pretty hard work. 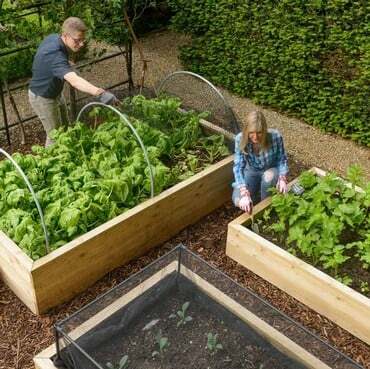 We did have the definite benefit of assembling the raised bed on a nice flat warehouse floor. 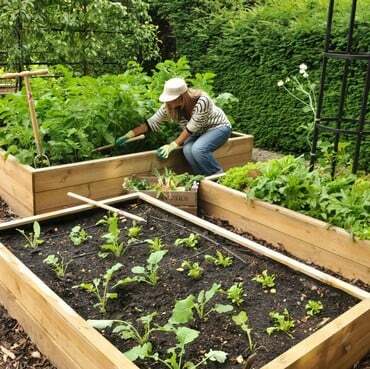 It is advisable to assemble on a flat surface and then move into position if possible, or at least for the first level of the raised beds as it makes it so much easier to keep everything level. The Standard Raised Bed was nice and sturdy when assembled, but time was against us, so we only managed to get the first level completed - so the plan is to finish these off next week, putting the next layer on and adding the capping. 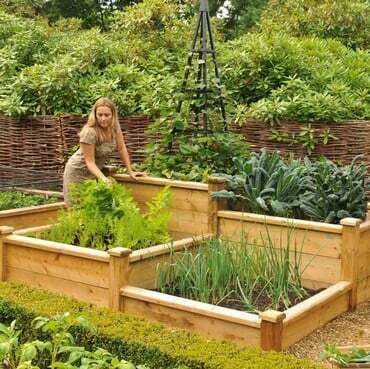 When the raised bed is finished we will need to find it a new home in the garden. the customer service team are already busy deciding what to grow in it - beetroot and carrots are the current front runnners.